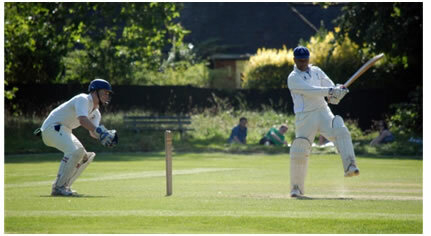 To find out more, simply email newplayers@roehamptoncricketclub.com or visit www.roehamptoncricketclub.com. There’s never been a better time to join Roehampton Cricket Club with its range of teams to cater for different levels of ability, friendly atmosphere and strong social scene. To find out more, simply email newplayers@roehamptoncricketclub.com or visit www.roehamptoncricketclub.com. Playing on the picturesque Putney Heath since 1842, your local Roehampton Cricket Club has senior teams playing in the Surrey club leagues and recreational Sunday cricket and with a range of flourishing colt teams. However, it’s not just about the playing the game at Roehampton. 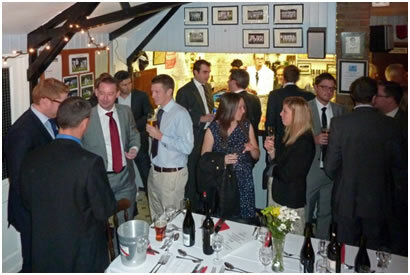 Beyond the game itself there are a series of social events including quiz nights, team meals, post-match BBQs, poker nights and of course the annual club dinner and annual awards. 'Analysis' of the day’s play at the bar is also well attended as both home and away sides tend to meet up at the clubhouse after matches. The 2013 season promises to be particularly exciting with both the First XI and the Second XI competing in the top divisions of the Fuller’s Brewery Surrey County League. With a new format of 16 matches divided into limited-over and timed formats, the league will offer cricket with different challenges to test the players. shared with visiting teams and the high standards of Roehampton’s playing facilities. In addition to organising our own cricket tours, we have also had the privilege of playing some one-off matches such as a friendly against the touring Dilip Vengsarkar Cricket Academy last season. With a newly laid set of cricket pitches a few seasons ago, Roehampton CC’s continuing development will see the development of outdoor nets at the ground and continuing improvement of the club house facilities. Pre-season friendly matches start towards the end of April. The 2013 league will start in early May, running for four months, and weekly practice net sessions for all teams have recently started to brush off the winter cobwebs. Nets take place from 8pm – 9pm every Tuesday at the Oval and will continue outdoors during the league season. Post-season friendlies will then be played in September. Roehampton CC look forward to welcoming you and answering any questions you may have. Please don’t hesitate to contact newplayers@roehamptoncricketclub.com to find out more.